The Kispiox is in wonderful shape! Fishing has been good-catching has been terrible! Very, very few steelhead around. 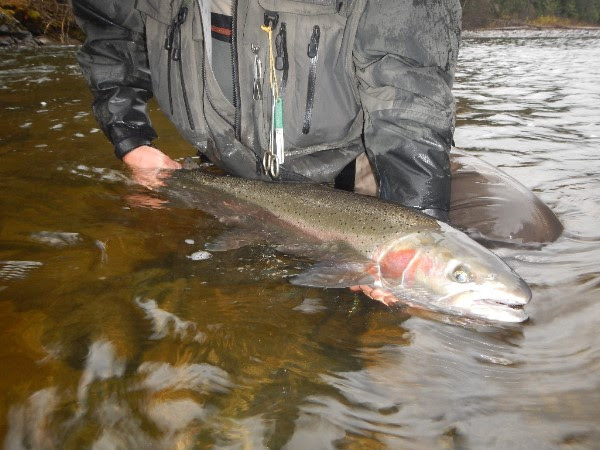 The rain has been hitting the Skeena pretty hard, water has come up and the river has less than 12” visibility. 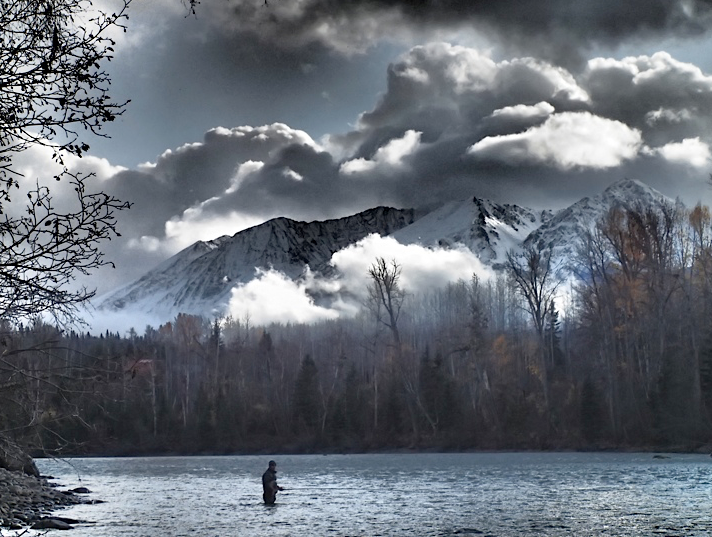 On the weekend, prior to the murky water, Steelheading was booming. Fish are coming into the system and there were lots of great reports! Still fish being caught in the dirty water, but it is tougher. Hopefully it cleans up soon! Otherwise head to the tribs and catch those fish that are moving in! Blownout-High and dirty! Still lots of Coho in the system, although most are pretty coloured. Keep an eye out on the water levels (https://wateroffice.ec.gc.ca/report/real_time_e.html?stn=08FF001) because if the water drops and cleans there could be a couple more days of Coho fishing left before it closes on the 31st. Snow up here! Fishing has been alright; definitely catching some.